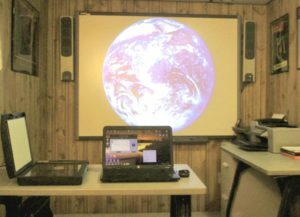 Our state-of-the-art classroom includes: a Smart board, scanner, printers, laptops, high speed wireless internet. It provides a relaxed learning environment. Directions: South on Westney Rd, past Giant Tiger to Finley Ave turn right on Finley or south on Harwood Ave to Westney Rd. Left on Westney to Finley Ave. Left on Finley. Continue south on Finley to Panter Cres – first street on left past second stop sign. Turn left.